When your own executives can’t be bothered to use your products, you know something must be wrong. Or at least that’s probably what Meng’s father and Huawei’s founder, Ren Zhengfei, is thinking right now. Why would Meng possibly be using Apple products? Are they just better? If so, then surely she would be using something newer like an iPhone XS. She is rich, after all. Does she need devices secure enough for sensitive business deals? Does she want to send racy text messages without Huawei recording them, possibly letting her father see them? Whatever the doubtlessly hilarious reason, it probably wasn’t worth the ensuing fallout. In January Huawei demoted two employees, took over $700 from their monthly paychecks, and suspended the pay of one for 12 months, just because a subcontractor accidentally tweeted “Happy #2019” from an iPhone. It would be amusing if they did that to Meng, but unfortunately, I doubt anyone has a high enough rank. Making all this more ridiculous is the fact that her penchant for Apple products was only revealed because her lawyers requested a copy of the data that was on her devices, and for them to be subsequently sealed. It seems that no one at Huawei can do anything right at the moment. It's not like she had them for 'research' either, because the iphone was a few generations old. Rather pay money for a competitor's products than use her own company's products she could get for free. Extremely embarrassing. It's like the CFO of Ford choosing to drive around in a Chevrolet. He probably wouldn't keep his job, honestly. dj2017, Digitalzone and ghostf1re like this. "Does she need devices secure enough for sensitive business deals?" Or for ANY privacy, because Apple checks their devices for tampering. She'll probably be disowned for this. That was the reason all alone! Huawei paid Canada to arrest her for using apple products! Damn, I feel like a famous detective now. You buy apple products for the software ecosystem, not necessarily the hardware. As much as I dont like apple as a company, nothing is inheritantly wrong with their software ecosystem. No other company has the flawless transition between phone and computer that apple has. Kibaruk and onestepforward like this. If you look at how their devices look in terms of software and hardware it's clear to see they're trying to imitate Apple hence this is not a huge surprise. I'm sure they're not the only ones. I suspect that her reason for using Apple products is the privacy and security offered by the Apple eco-system; things that are missing from the Huawei. It is not for no reason that she chose Apple above others, especially given that Huawei makes smartphones, tablets and laptops. She would have chosen Apple in the hope and expectation that it covered her illegal dealings, which adds credence to the concern of many people and governments that Huawei cannot be trusted. 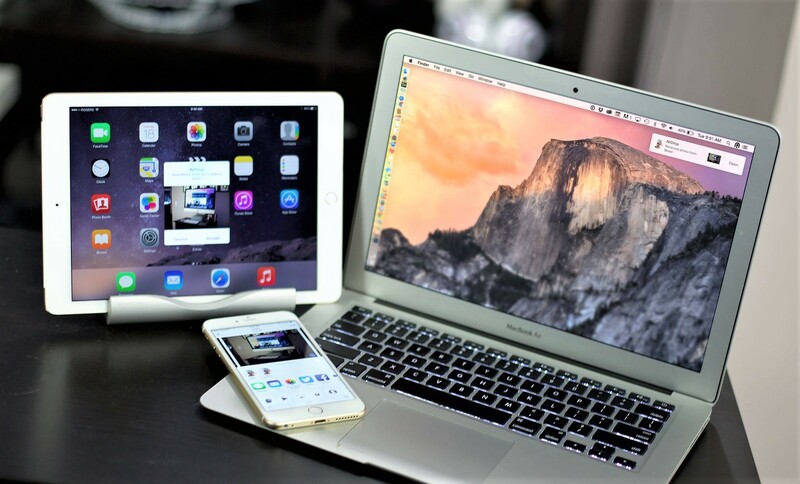 People use the overblown, overpriced, over-hyped apple products for one reason - the hype. It's the trend. People mindless buy these overpriced products because it's a prestige ... or so, they think. Humans are like lemmings. They just follow the others. xxLCxx, Wessell Urdata, Evernessince and 1 other person like this. When you are a competitor, it does make sense to have products of the competition. But, in this case, my guess is she didn't want the communist government to know what she was talking/texting/emailing by using a foreign sim card. In China, Apple is a luxury brand. Burty117, xxLCxx, nismo91 and 1 other person like this. Most of Huawei products do not support North American base band frequencies because it doesn't sell products there. I think she uses Apple products just for international travel. Your answer might explain a non-Huawei phone ie iPhone, but it certainly does not explain her reason for choosing the other Apple devices. Once you start using iPhone you enter the Apple ecosystem. The only reason to justify this, is by thinking that using your competitors products, can help you improve your own. But as the first comment here says, the iPhone at least is old, so that argument is probably going out the window. We use iphones as a pool phone for the reason that it is supported with updates for longer periods than your average Android phone. With obvious security benefits. I would tone down the snarky-ness in the news, it's way too much. I would have believed that if they didn't really sell phones in NA, which they do, which are used, which do work with the NA freq. More like CFO of Ford driving a BMW. Nothing wrong there. To me though, iOS is what makes iPhone special. You still getting the latest version years later. No similarly old Andriod phones are getting same kind of care.